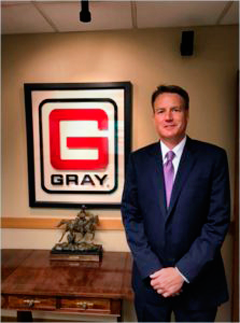 The Automotive Lift Institute (ALI) members elected the 2018 board of directors at the organization’s annual meeting Oct. 29 in Las Vegas, Nev. Stet Schanze of Gray Manufacturing Company in St. Joseph, Mo. was elected to a third term as chairman of the board for the trade association dedicated to vehicle lift safety. Stet Schanze has been re-elected chairman of the Automotive Lift Institute.